Mexico City is having its much awaited moment. For decades, Mexico City was overshadowed by a reputation that deemed it an unsafe and chaotic destination. 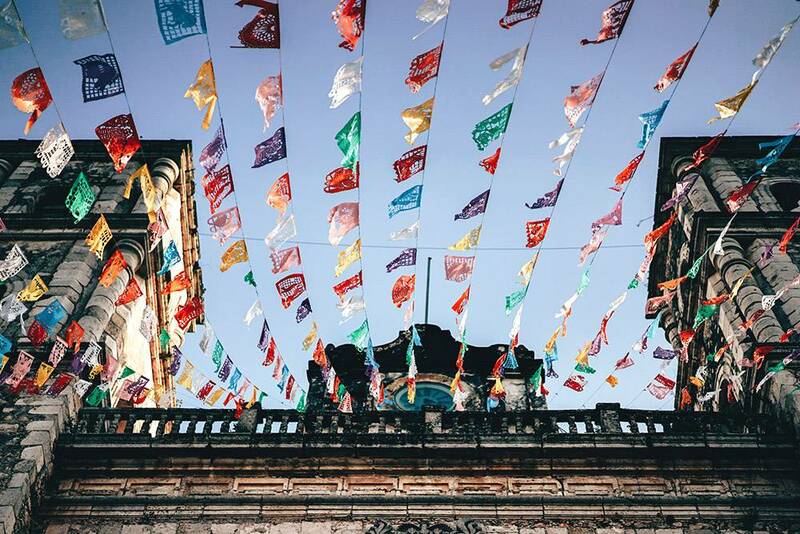 Recent safety measurements are finally encouraging culture-loving travelers to book a flight and discover Mexico’s vibrant capital. 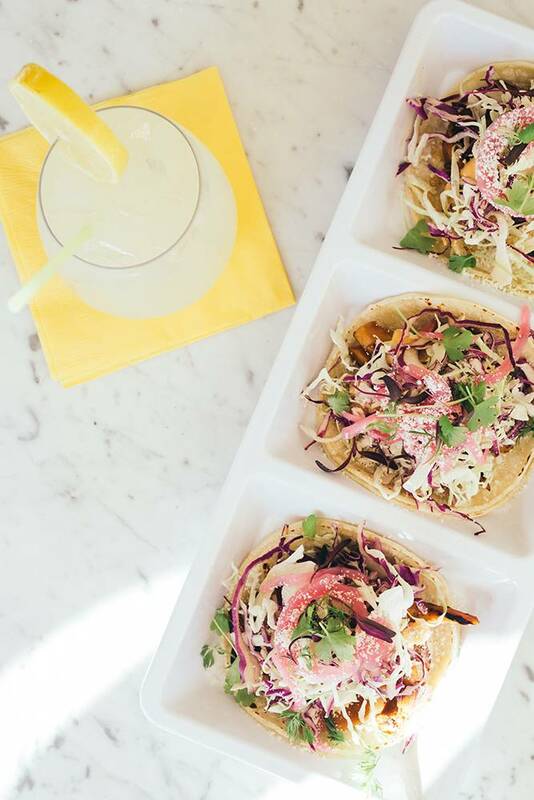 You already know the best places to dine in town, now it’s time to explore what to do in Mexico City and it’s surroundings. 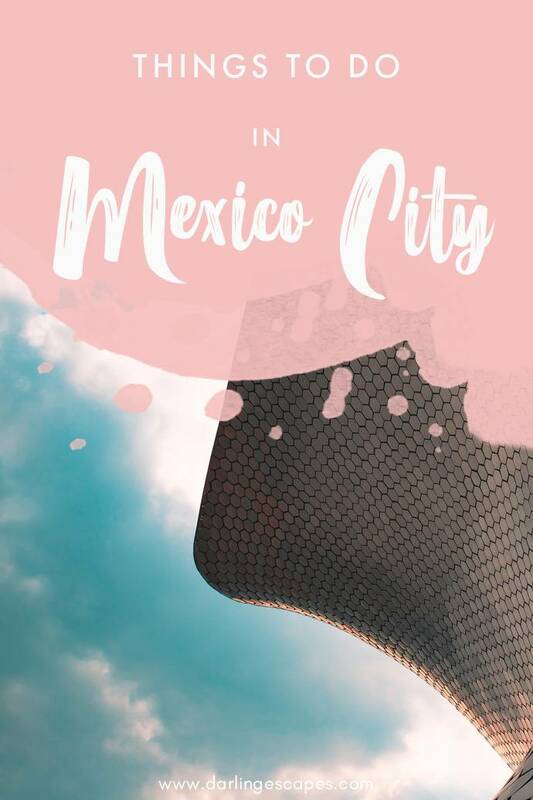 Its vibrant culture and arts scene, a killer gastronomic heritage, and an endearing mix of the old and the new make CDMX one of the most interesting destinations to explore. 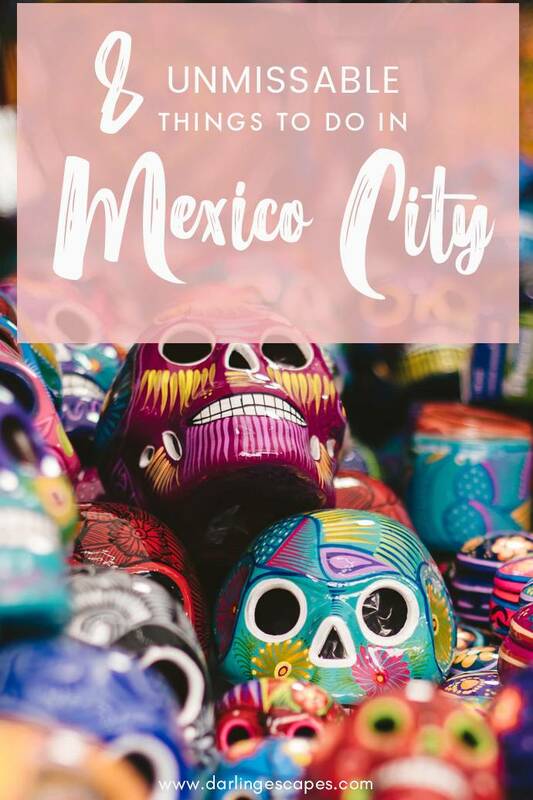 Mexico City suits well for an easy city trip, or could be combined with places like Oaxaca City while cruizing further around the south of Mexico. There’s nothing quite as unique as getting lost in the steers that make up the historical center of Mexico. 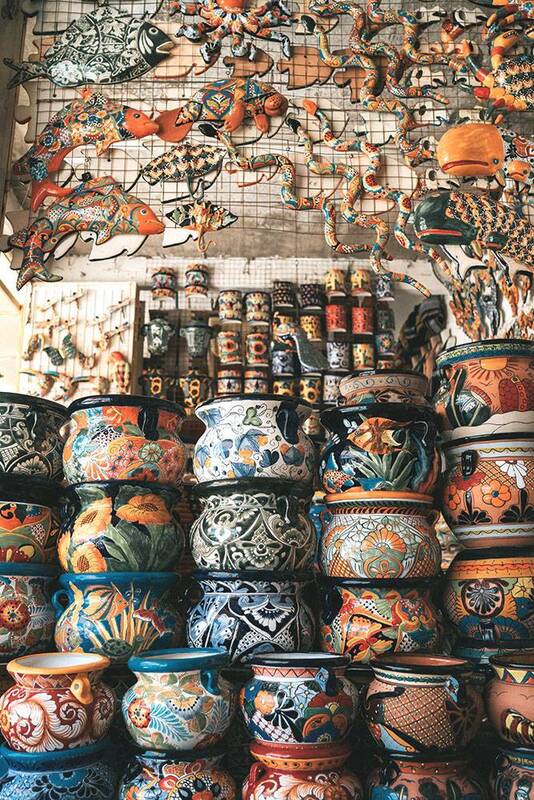 Every alleway contains centuries worth of stories. You’ll also find it interesting to notice that most streets at Cento Histórico have a theme: There’s Calle Venustiano Carranza, where locals frequent to buy fabrics, there’s Donceles, which contains dozens of vintage bookshops, there’s Regina street, where you’ll find shops that sell all things stationery. 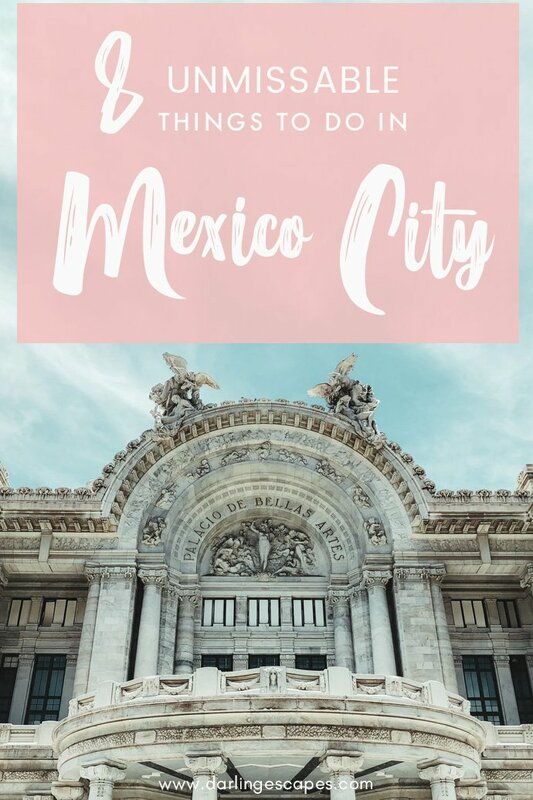 Start at the Zócalo, the second biggest plaza in the world and get lost from there, stopping by at small cafés and little museums you find along the way. Set inside Chapultepec Park, this massive museum is the biggest in Mexico and one of the most renowned in the world. It showcases the largest collection of Mexican artifacts with the aim to embrace Mexico’s traditions, history, and indigenous cultures. 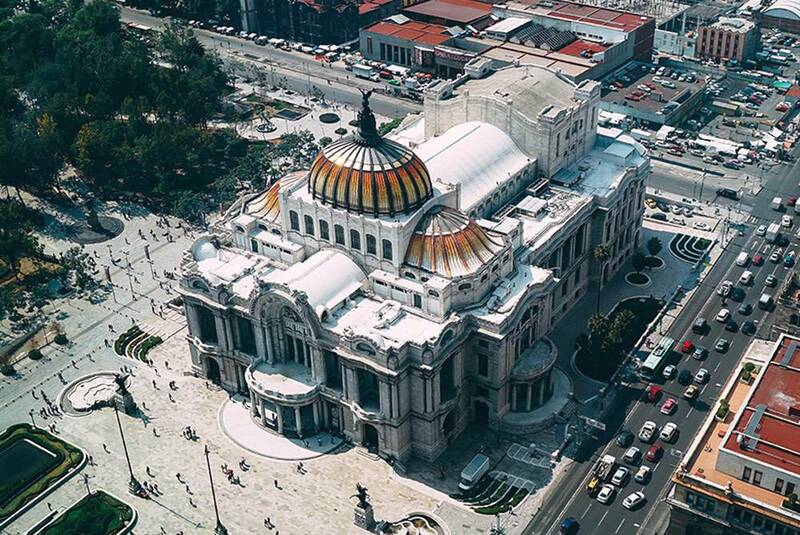 Dubbed the “Cathedral of Art in Mexico”, this stunning palace blends Neoclassical, Art Nouveau, and Art Deco architecture, and is host to some of Mexico City’s most important events that center around music, theatre, opera, literature, and visual arts. Locally called Casa Azul for its striking blue facade and courtyard, this museum is set in the house that Mexican artist Frida Kahlo called her home during most of her life. This is no common museum – rather than just displaying her work, a lot of her possessions were left intact in order to give visitors an intrinsic of what Frida’s turmoiled and creative life looked like. Chapultepec is more literally than figuratively the lung of Mexico City. This urban forest measures almost two thousand acres and it’s a go-to place for tourists and locals alike to escape the bustle of the city. Atop a hill inside the park, you’ll find the only royal castle in the American continent. Castillo de Chapultepec boasts unparalleled vistas of the city. Finding a set of Aztec ruins amid a massive metropolis isn’t something you see every day. Templo Mayor was the heart of Tenochtitlan, the ancient Aztec capital. During the conquest, the Spanish destroyed most of it and built a cathedral in its place. While little of the temples was spared, there are still some ruins left to visit and imagine the splendour this important capital once held. Set in the Valley of Mexico, Teotihuacan is famed for two massive pyramids that tower over the place: Pirámide del Sol (Pyramid of the Sun) and Pirámide de la Luna (Pyramid of the Moon). Located an hour drive away from Mexico City, Teotihuacan is considered the most architecturally important complex of all Mesoamerican pyramids and a visit to the Mexican capital isn’t complete without beholding its grandeur. If time and budget allows, it’s also possible to ride a hot air balloon at sunrise to catch a birds-eye view of this ancient metropolis. In the mood for some live music? Head to Garibaldi! Considered a mariachi mecca in the middle of Mexico City’s busy historic center, Garibaldi is the hangout spots for mariachi bands to gather during the evenings and liven up the area. Best enjoyed with a few drinks in hand, of course! 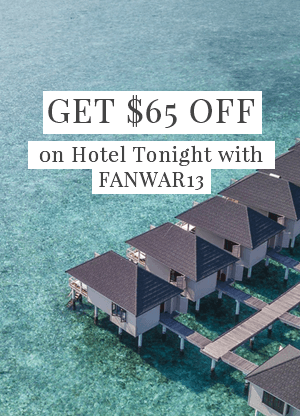 Previous Post 7 Super Cheap Places to Travel in the U.S.